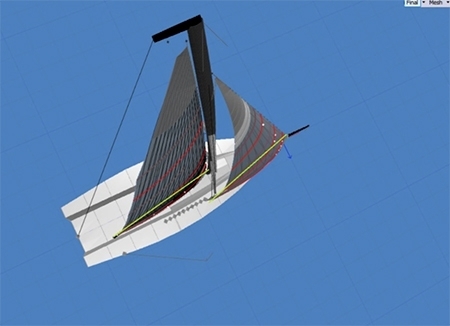 Knowing your boat and how to trim your sails to best achieve the 3 Modes of upwind sailing are crucial skills to have for the best performance of your boat. 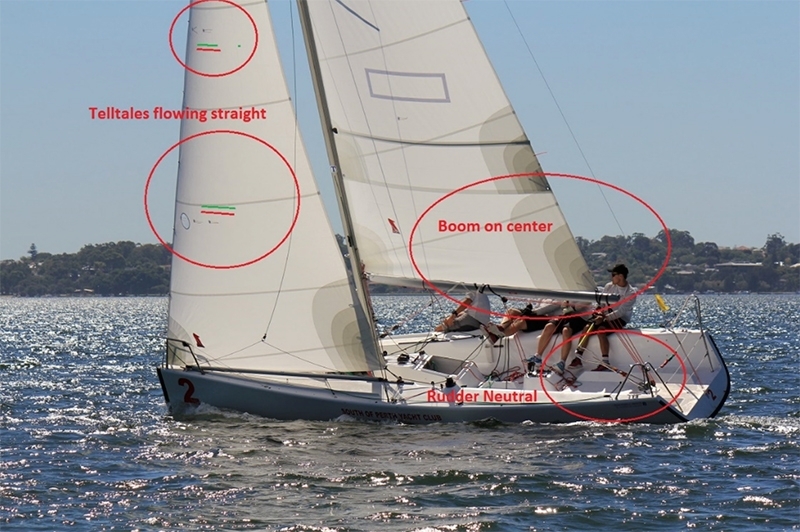 Being able to effectively ‘mode’ your boat at any time on the race course can greatly improve your racing performance. Choosing which mode to use depends on a number of factors but is generally a combination of wind, tide, opposition and where you are on the race course. 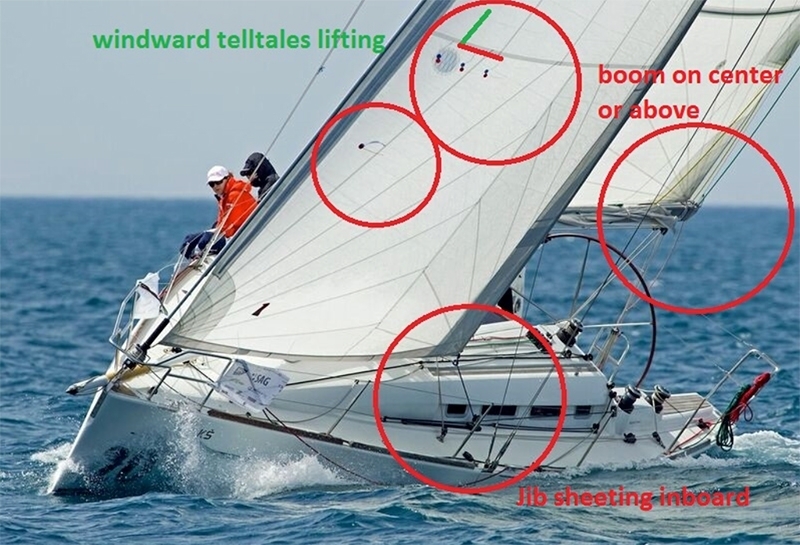 Sail trim is pivotal to the modes and before focussing on the modes themselves I strongly encourage you to have a thorough read of my Sail Trim Notes. Adapt them to your boat and make sure everyone in the team is familiar with how to best trim your sails. 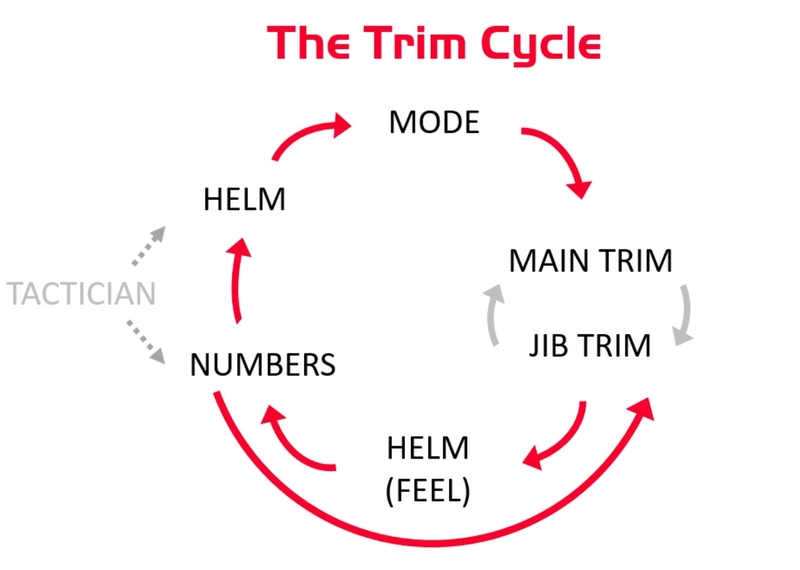 In executing the trim required to achieve the maximum potential from each mode, communication is critical hence the importance of the ‘trim cycle’ to be sure the flow of information between the team is contributing to the best performance. Being able to mode your boat while passage sailing can greatly improve the efficiency of your passage making and navigating around obstacles and obstructions much more simple. It will also make your boat easier to sail in those passages by reducing the tacks and gybes executed and limit your sail handling. By efficiently and effectively configuring your boat you can reduce your passage times and make your passage more pleasurable. By applying the tips and tricks in my sail trim notes you can also make your boat handle better and increase the overall efficiency of your passage sailing. VMG Mode - The best VMG for your boat. FAST Mode - Pointing less into the wind but going faster. HIGH Mode - What is it? HIGH Mode - When do I use it? HIGH Mode - How do I achieve it? VMG Mode - What is it? VMG Mode - When do I use it? VMG Mode - How do I achieve it? 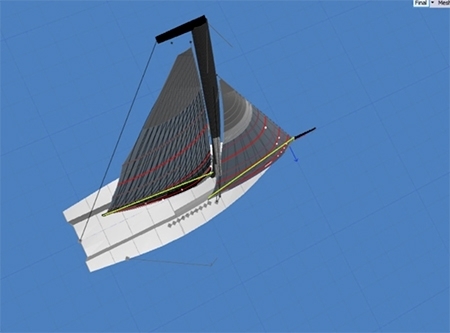 See the Sail Trim seminar notes! FAST Mode - What is it? FAST Mode - When do I use it? 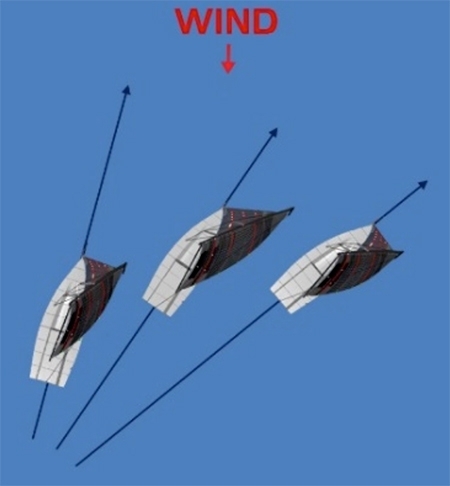 Ease your sails (sheet tension) increasing twist. FAST Mode - How do I achieve it? The boat to windward is in fast mode to try and get over the top of the boat to leeward. Note the jib telltale positions. The windward boat has successfully progressed over the top, thus preventing the leeward boat to tack. Significant given the left wind shift approaching! How to trim the boat for each mode?